Sensing a hole in the orc-saturated free to play market, Wargaming.net seized the opportunity to deliver one of the last few years' most amazing success stories. Starting with a small free to play game, World of Tanks, and a staff of about 50 people, the company has grown to nearly a thousand employees and runs a game with over 30 million registered players. Of those, a staggering 25-30% invest actual money into the experience, making World of Tanks the envy of the microtransaction world. 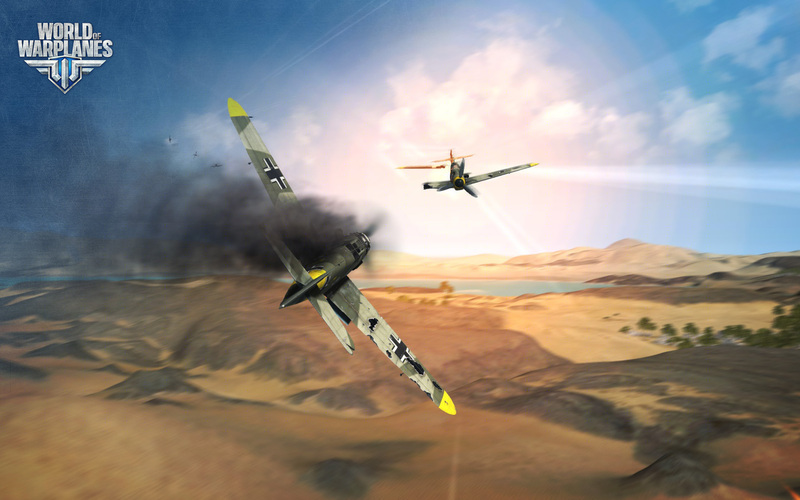 Now the team is poised to enter the air war market with World of Warplanes. We recently played through the beta of the game and spoke with the team about their plans for the future. World of Warplanes will allow players to log in and take to the skies in any of around 60 flyable aircraft. The planes range from the pre-war biplanes used for training in the 1930s, through the Golden Age of air warfare in the 1940s, through to the jet age in the 1950s. The planes at launch will be limited to US, German and Russian models, and players can expect all the usual suspects, from Corsairs and Mustangs to Bf109s and IL-2s. Planes are rated in one of ten tiers, so you won't find servers where F86 Sabres are facing off against F4F Wildcats. Since the German air program had a bit of an interruption around 1945, the team offers advanced versions of experimental or otherwise non-operational designs. As with World of Tanks, World of Warplanes, will add more nations and plans in regular monthly updates. While most gamers are probably looking forward to flying in Hurricanes and Zeros, the team is also committed to including planes from nations like Italy and Sweden, which are often less represented in air war games. Though the game features a realistic flight and gunnery model, it's not intended to be a perfect simulation. Wherever realism gets in the way of fun, fun wins out in the end. That's why so many of the levels start the players closer to the ground, giving them the option to use the canyons, city streets and other geographic features as a sort of cover from the enemy. Fliers also start out in the air, which means you won't have to spend five or ten minutes of each flight climbing to altitude before engaging the enemy. Each mission area will include numerous ground targets for players who'd like to focus more on strafing and bombing fuel depots, motor pools, trains and ships. Some missions may even have more directed objectives, like protecting a particular convoy from enemy attack, or eliminating an AI led bomber formation. I've been a longtime fan of the various dogfighting arena games, from Air Warrior to Warbirds to Fighter Ace, so I'm very excited to see what Wargaming.net can make of World of Warplanes. The game is currently in closed beta.